The Road and Bridge Department in Anderson County, S.C., located not far from Clemson University, is charged with handling a wide range of jobs for its 187,000 residents. 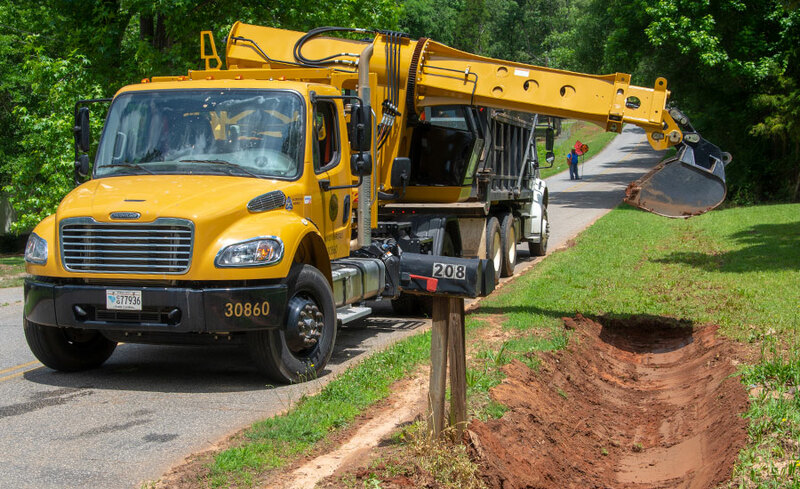 "We try to get the best equipment, the most productive equipment, the most reliable equipment that we can possibly get for the budget we have," said Joe Moss, the county's drainage supervisor. "We also take pride in what we do, and we try to do it right the first time." 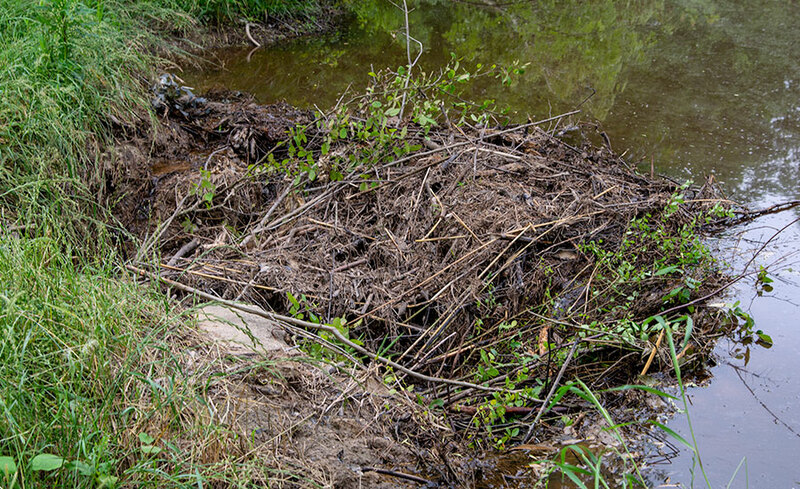 One day's work started with the removal of a beaver dam that had blocked water from flowing through a drain pipe under a county road, causing a water backup and eroding asphalt pavement above. 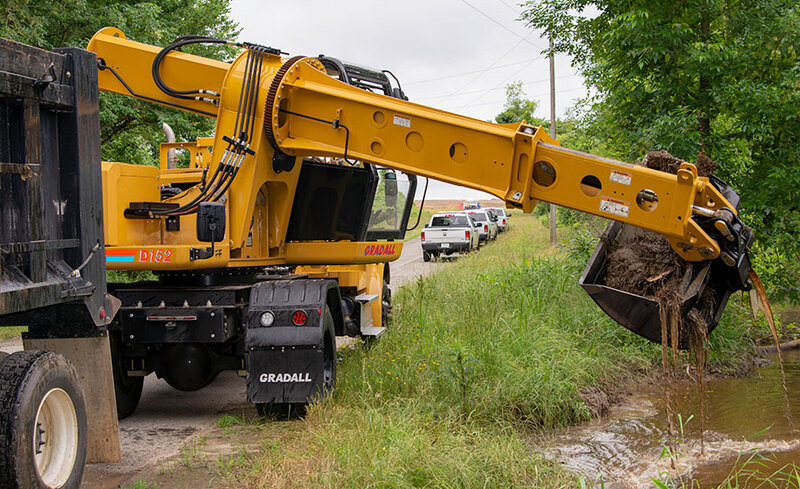 Anderson County, which has owned Gradall excavators for 10 years, used its Discovery Series D152 model for the job. 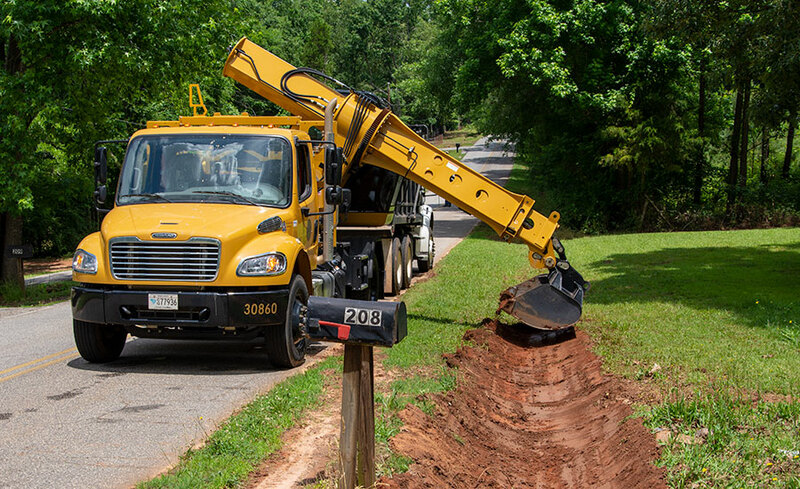 Discovery Series excavators are built on a Freightliner truck chassis, allowing them to be driven to the work site at speeds up to 55 mph. 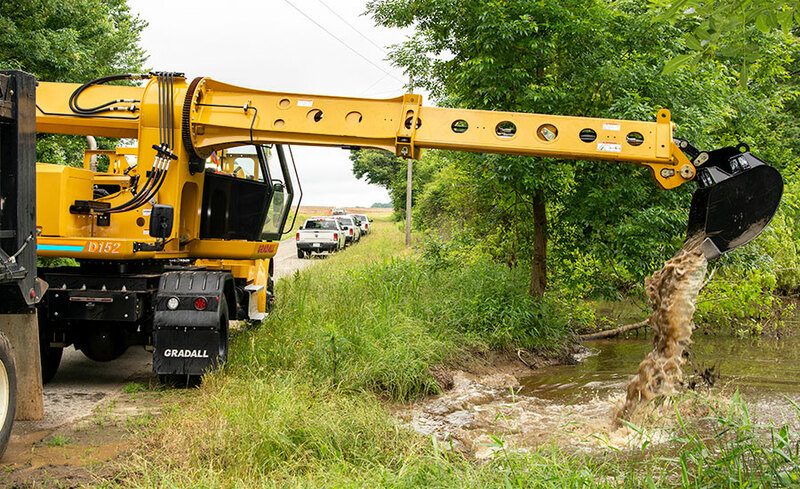 Working from the road, the operator telescoped the D152 boom out 24 feet, breaking up the beaver dam, loading material onto a truck and immediately restoring the flow. "The Gradall is a very unique piece of equipment," said Moss. "It can be used for just about anything with a great operator. It works better than a backhoe, because we would have had to bring it on a trailer, unload it for the work, and then reload it afterward. And it wouldn’t have the reach or bucket angles." Next, the D152 was driven to a residential neighborhood to remove a cracked driveway apron. 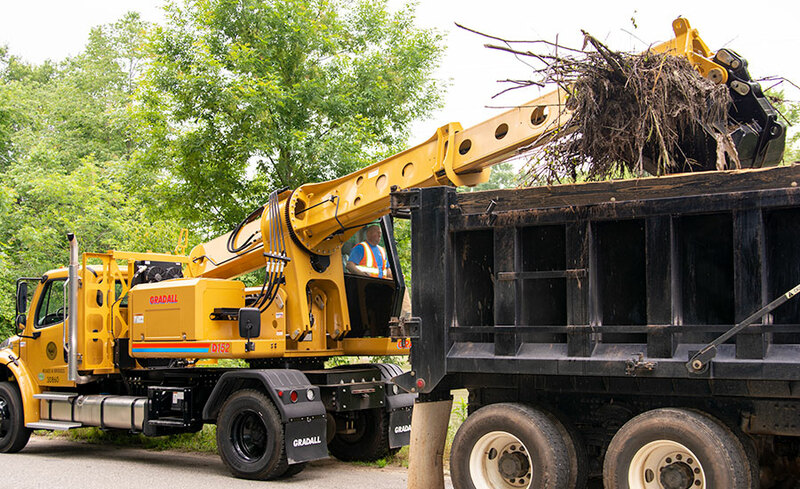 The telescoping, tilting boom worked under low tree limbs, demolishing and removing a 20 x 15-foot section of asphalt that was six inches thick. After the excavation work was completed and the material was loaded into a truck, the Gradall boom and bucket smoothed out and finished the surface before spreading a crushed rock base to prepare for a new two-inch layer of asphalt. 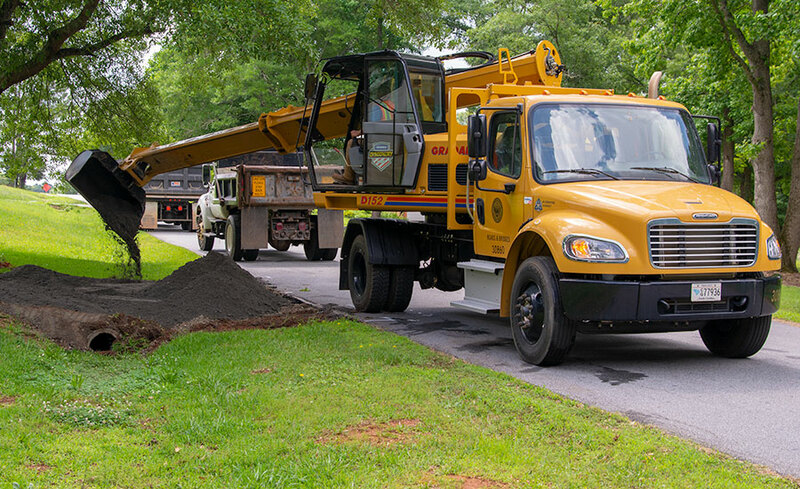 "Our operators have less fatigue when they use this piece of equipment, and that eliminates accidents," said Charles Pinson, Anderson County safety director. "It's so versatile and efficient when we are out digging and excavating. 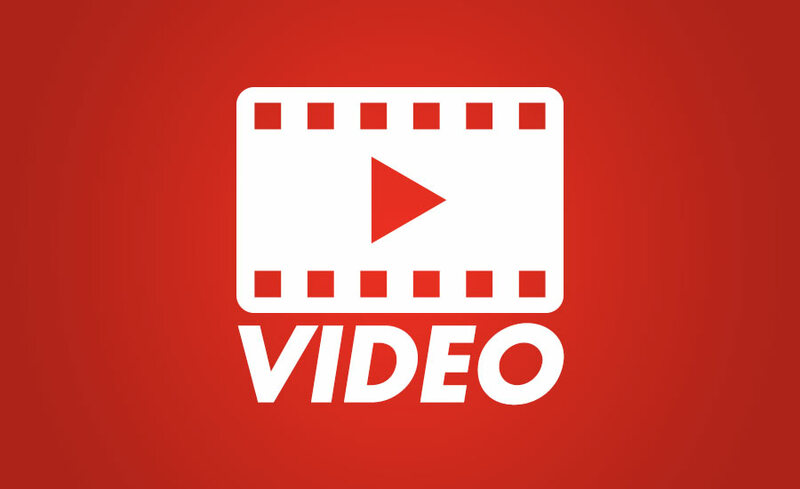 It's been a great tool for us." The third stop was to clean out roadside drainage ditches. First, the boom and bucket were positioned to carefully scrape up overgrown sod on the edge of the road, while the operator drove the machine from the upperstructure cab. Next, the tilting boom recreated a 45-degree ditch and removed soil from openings to drainage pipes under driveways. Sometimes, this work also involves removing broken pipes and installing new ones. On this job, the operator also manipulated the boom to straighten two mailboxes that had leaned over in time. 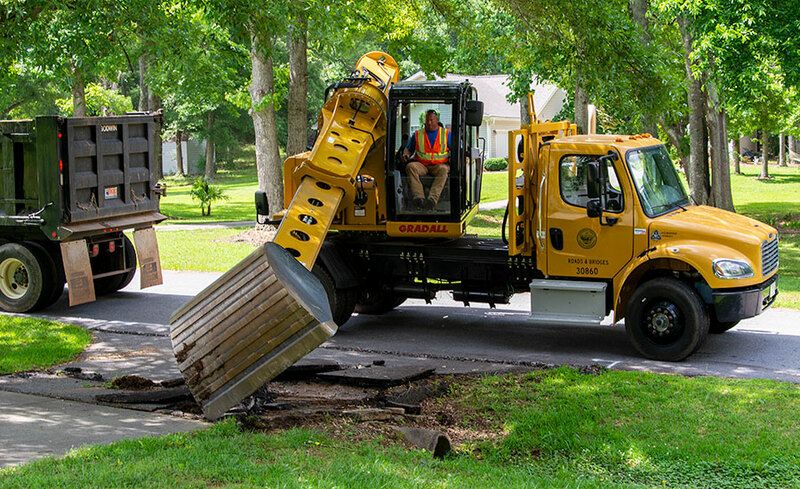 The compact size of the Discovery Series models makes them ideal for work in municipalities, said Moss, navigating narrow streets, working under trees and handling ditching work, without the need to close an entire street. 'It's very easy to operate, too, and the operators catch on with just a little practice in the seat," he added. "It’s like a three-in-one piece of equipment," said Pinson, noting that there's no need for a truck and trailer to transport an excavator to job sites. 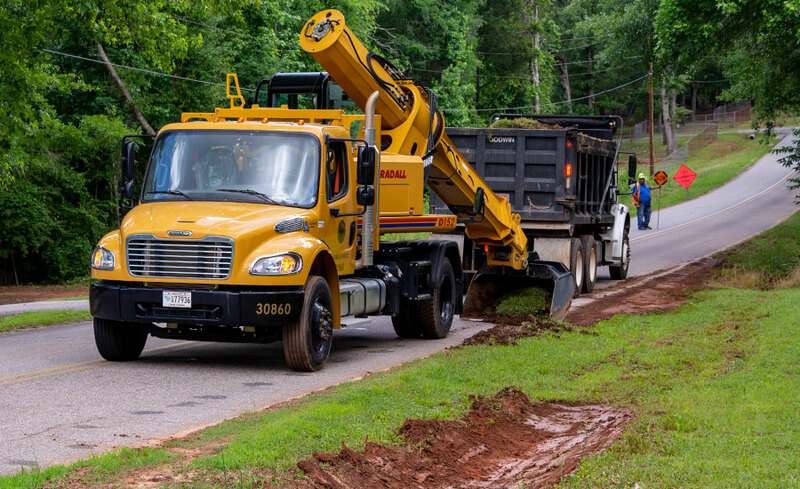 "It's so versatile, whether it's pipes for driveways or excavating ditches, it's been a great tool for us." "The mobility cuts our time down tremendously," added Moss. "Instead of getting two jobs done in a day, we can get up to four done, and then take it back to the office."